I hope you are doing well! Can you believe that we are already in the month of February? I hope you had a wonderful holiday with your family and you are having a very blessed New Year so far! Bringing Christmas Joy to the Children! Florida. They were here from December 3rd – 11th, 2011. It was a small team of only seven people but everyone was just amazing on this team! I really believe that God chose each person to be on this team because when I saw all the different gifts that God placed in each team member it was just amazing! 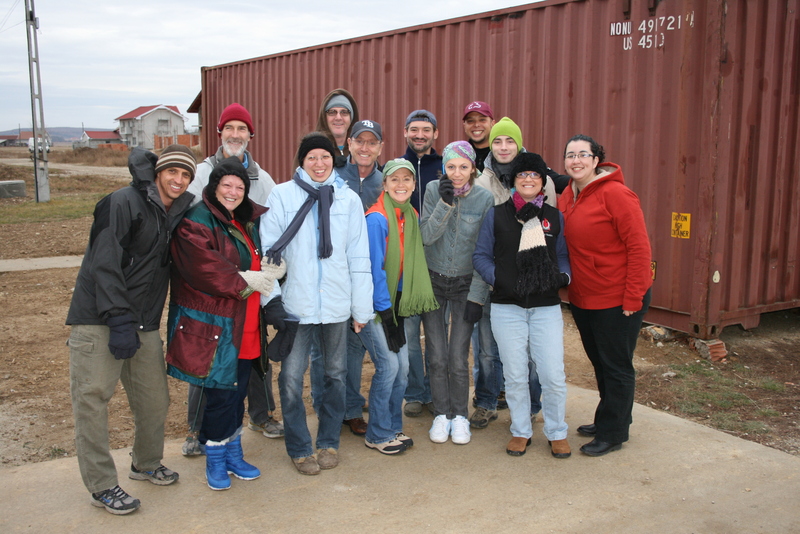 God put a vision in this team’s heart to not only come and spend time with the children here but also to send a container to Romania that will help bring Christmas joy to every orphan and gypsy child that we work with here. This was the first container that I helped unload since I joined the staff here and all I can say is WOW GOD!! When we unloaded the container I was just blown away by everyone’s generous hearts that gave from Florida because we got so much stuff and way beyond what I was expecting for all the projects plus Christmas gifts for around 200 children!! How awesome is our God of how He had orchestrated to bring this container here that was filled with so much love to Romania for the children and other needs here! Happy Armando with his gift! sang songs, the team did a puppet show and we did crafts as well. Then throughout the week we were able to give Christmas parties to all the children at the Săbolciu gypsy village, the foster care families and the orphan children. It was such a blessing to see all of the smiles on all the kid’s faces and hear the laughter of joy as they opened up their gifts. It was a lot of fun to perform with the team the nativity story drama for the kids as well! We ended our week together with all the staff from all the projects for a Christmas celebration of our own. The week was just incredible as we served so unified together with this team! Eating Christmas dinner with the Haines family. spend it with them on Christmas Day. I had a wonderful time with them and it was a joy to be with a family as well! For the New Year’s I went to Timisoara with my friends for the Unlucru (One Thing) annual conference that is hosted at the Agape church. I was there from December 29th – January 1st. It was awesome to bring in the New Year at church in the presence of God as I worshipped together along with Romanians from all over the country! I am so grateful for everything the Lord did in my life and how He spoke to my heart during my time there! A small team of two! In January we were blessed to have Jim and Teresa from California. They came to serve alongside of us here in Romania for a week. They wanted to go on a mission trip for their 30th wedding anniversary instead of a tourist type vacation so God brought them here to Romania from January 16th – 23rd. We had a very busy week while they were here but it was such a blessing beyond what I could put into words to be able to serve with them! I felt so blessed by their encouragement and servant hearts. Norbi, Jim, Teresa and I in Sabolciu. sorted through donated clothes for Sabolciu, went to the baby hospital to love on the abandoned babies, spent time with the orphan kids and teens and had a wonderful church service in the gypsy village. My highlight of the week was definitely when we went grocery shopping for the gypsy village and then handed out the food sacks the following day. It was awesome to bless all the families with the food packages and it came as a complete surprise to them because they were totally not expecting it at all. It was such a blessing to not only personally give food packages to them but also to take time to pray for them and encourage them too. What a great week! I praise God for all the teams and visitors that come to Romania to bless the kids here! 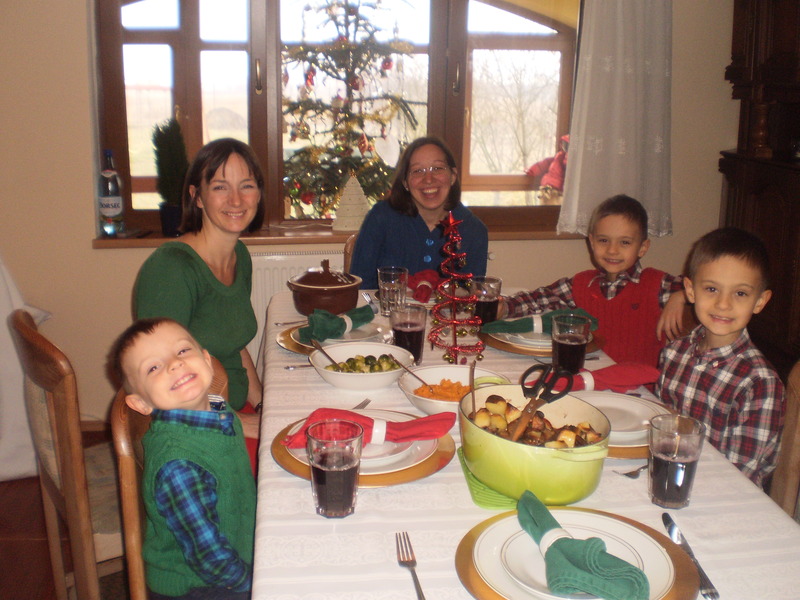 I praise God for giving me such an amazing Christmas and New Year’s holiday in Romania! I praise God for how He has been showing me more of His love, His protection and care! I praise God for how He has been putting a deeper passion in my heart for Him!